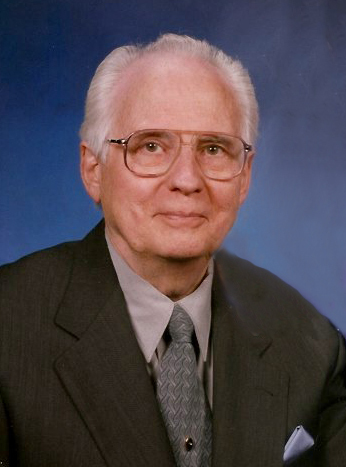 Harold Eugene, 89, passed away, Tuesday, April 2, 2019, at Seasons at Southpoint in Durham, NC. He was born in Beaver County, Pennsylvania to the late Nelson Boyer and Margaret Fogel Boyer. He was a veteran of the United States Army during the Korean War and served as a Personnel Manager at Armstrong World Industries where he retired after many years of service. After the passing of his wife, Jackie in 2014, he moved to North Carolina for the warmer climate and to be near his grandchildren. Harold was a leader for Junior Achievement and was active in Kiwanis and the Beaver Valley Camera Club. In their younger years, Harold and Jackie danced often, and in their later years enjoyed bowling. They especially cherished their annual trips south for the holidays in which they visited with their grandchildren in Durham, and then on to Tampa and Fort Myers Beach Florida where they visited family and enjoyed the beach. Photography was a big part of his life. In the '60s, his family and friends were entertained by his slide shows. He loved to write poems and stories about the photos he took. Not only did he enjoy taking photographs, especially close-ups of flowers, but he also was passionate about its history. Initially, he collected wood and brass large format cameras which were featured in the News Tribune 7/17/76. His focus then turned to the Civil War period daguerreotypes, tintypes, ambrotypes, and jewelry. He dug into the history of the Wild Wild West and shared stories of Jesse James and Billy the Kid. His passion was his theory about Abe Lincoln's secret wartime visit to Beaver County on the canal boat named Jack Boyle which was published in the Milestones Vol. 28, No. 3, Summer 2003 (the journal of Beaver County History) and featured in the Beaver County Times. A graveside service will be held at 3 o'clock, Wednesday, April 3, 2019 at Pine Forest Memorial Gardens, Wake Forest, North Carolina. He was preceded in death by his wife Jacqueline Kauffman Boyer and brother Donald N. Boyer. He is survived by his daughters, Jayne Boyer & husband William Kaufmann (Durham, NC) and Nancy DiRuscia (Chippewa Twp. ); grandchildren, Rachel Kaufmann (NC) and Mitchell Kaufmann (NC); brother, Richard (Barbara) Boyer (GA); sister-in-law Marilynne (Ron) Kauffman Donnelly (New Brighton); nephews John Kauffman (FL), Chuck Cepek (South Fork), Eric Cepek (Tionesta), Bill (Shelly) Murphy (Brighton Twp), Chris (Michaela) Murphy (Midland), Donald (Debra) Boyer (GA), Bradley (Cheryl) Boyer (GA); Keith Boyer (CA); John (Kazumi) Mason, (MA); nieces Brenda (Dan) Murphy (Emlenton), Chrysanne (Jeff) Donnelly Corsetti (Franklin), Tina (Frank) Kauffman Goldhahn (FL), Cheryl (Joseph) Boyer Smith, (NY), and Lisa (Rick) Purk (Patterson Twp). A memorial service will be held in PA at a later date. In lieu of flowers, the family requests that donations be made to the Beaver County Historical Research and Landmarks Foundation.